August 8, 2009 2:00 p.m. 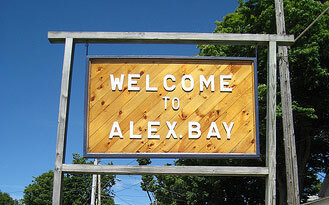 There will be a cocktail hour, followed by dinner and dancing on the terrace until 9:00 p.m.
August 8, 2009 9:30 p.m.
We will be continuing the celebration at a to-be-determined bar in Alexandria Bay. We hope all can join us!